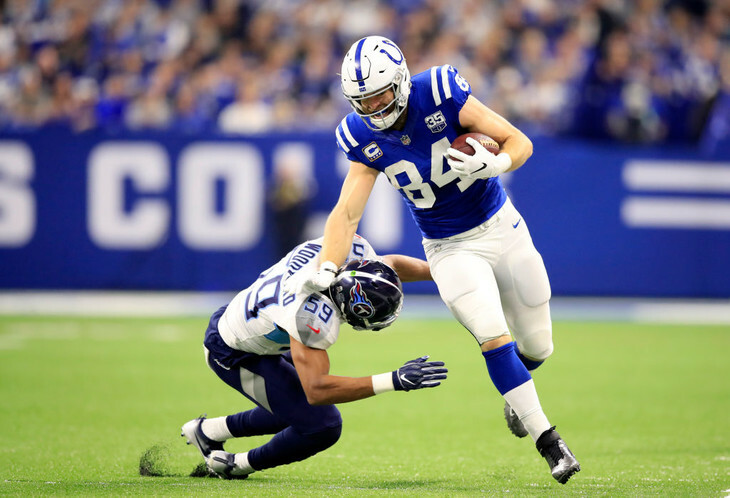 The Colts Monday placed tight end Jack Doyle on injured reserve according to Stephen Holder of The Athletic. Doyle reportedly suffered a kidney injury in the team’s 27-24 win over the Miami Dolphins on Sunday. He had to be hospitalized after the game and underwent a “procedure”. Head coach Frank Reich did say Monday that Doyle’s prognosis is “good” to resume playing football in 2019. The injury locks in Eric Ebron as the team’s primary tight end for the rest of the season. While Ebron has been a touchdown machine in his first season in Indy, the impact of losing Doyle is very real in football terms. Doyle is a far superior blocker to Ebron and plays over 80% of the team’s offensive snaps, although he has missed several games this season due to injury. With Ebron taking over the No. 1 tight end role, Mo Alie-Cox will move to No. 2. No. 3 tight end Erik Swoope hasn’t played since Week 7 due to a knee injury. Be the first to comment on "Indianapolis Colts Place Tight End Jack Doyle on Injured Reserve"